Shasha is a Delhi-based clothing label that speaks to the independent urban woman. The brand specialises in textile braiding and weaving while indulging in a play of surfaces and silhouettes. Founder Shasha Gaba treats every handcrafted outfit as a work of art. “There is no one particular trigger. My inspiration comes from everything around me,” she says. 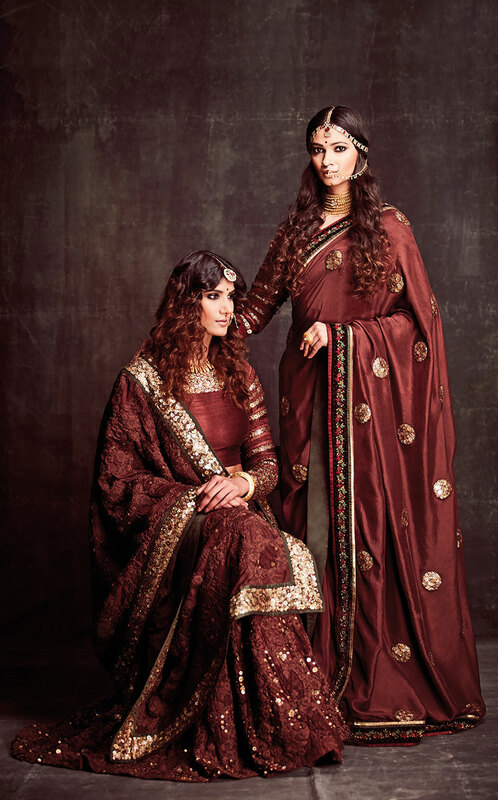 Shasha’s two major collections each season showcase ethnic and occasion wear. Traditional garments include lehngas, saris and anarkali blouses. Apparel with a western twist incorporates crop tops, skirts and cocktail saris. Kumkuma — The Inner Beauty is a melange of bandhani, applique and embroideries embellished with French knots and sequins. Inspired by the poignant Hindu symbol of the third eye, the collection seeks to pay homage to the modern woman who balances both the classical and contemporary worlds.